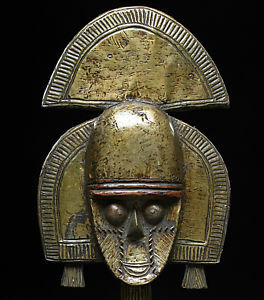 Comments: Very abstract, highly stylized mask. 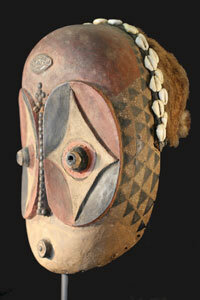 It represents the face of a spirit of the forest with two enlarged orbits and a "third eye". 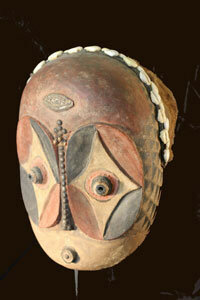 It shows signs of age and exhibits signs of use, shown from the evolution of pigments to the addition of paint. 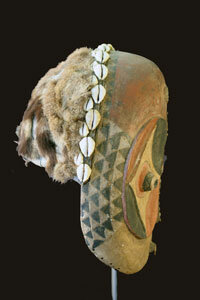 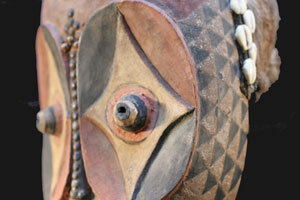 Material: Wood, fur, shells, tacks, pigment, paint, cowrie shells.